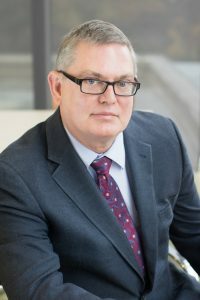 Dr. Christopher Lawson, Executive Director of AL EPSCoR and Professor of Physics at the University of Alabama at Birmingham, has been elected as Board Chair for the Coalition of EPSCoR/IDeA States. The Coalition of EPSCoR/IDeA States represents the interests of the 24 EPSCoR states as well as Guam, the U.S. Virgin Islands, and Puerto Rico. As Board Chair, Dr. Lawson will coordinate efforts to improve the university research infrastructure and competitiveness within the EPSCoR states and territories. A recent article from Jeff Hansen, of the University of Alabama at Birmingham, detailing Dr. Lawson’s election and additional information about the EPSCoR/IDeA Program is available here on the UAB website. For more information about the EPSCoR/IDeA Program, click here.